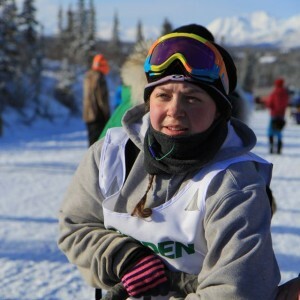 March 1st and the start of the Junior Iditarod was the kind of day that makes folks who are visiting Alaska want to stay for the rest of their lives. Crisp, sunny and windless with the temperatures eventually rising into the 20’s. 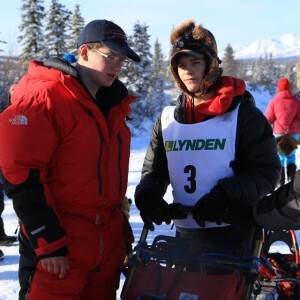 The action for the Junior Iditarod began at 8:00 in the morning when breakfast including scrambled eggs, sausage patties and pancakes were served up in the school gymnasium. 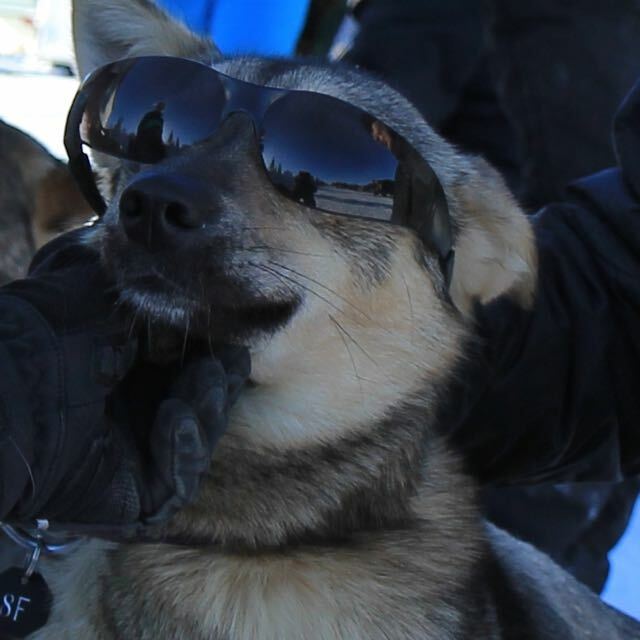 From there the mushers, family and friends headed east on the Denali Highway a short 3-miles to the parking area where the Junior start banner was erected. What an incredible day for the junior mushers to spend 65 miles and some camping time with their best friends. March 2nd and the return trip promises to be much the same. Arriving at Alpine Creek Lodge at 1800 was Kevin Harper wearing bib 3. Jimmy Lanier wearing bib 12 made the checkpoint at 1810. Rookie Dakota Schlosser wearing bib 2 made the Lodge at 18:12. Bib 5, Andrew Nolan made the halfway point at 18:21 Followed by Joan Klejka in bib 10 at 18:44. 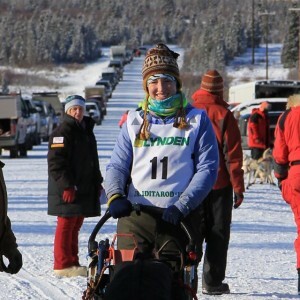 The sixth musher to finish out the hour was Katie Deits in bib 6 arriving at 1853. Just a little more than three hours separates all the arrival times at the halfway rest. The question is, how does this play out in the morning after the 10-hour plus differential layover. 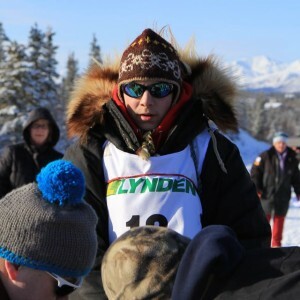 Jimmy Lanier who was last out from the start will rest only 10 hours, leaving Alpine at 0410. Kevin Harper should follow Lanier at 0418, Dakota Schlosser at 0432, Andrew Nolan at 0435 and Joan Klejka will begin her return trip at 0448. Thirty minutes separates the top five mushers as they depart the halfway point. Lanier made his outbound trip averaging 11.21 miles per hour; Harper averaged 10.96 Schlosser 10.54, Nolan 10.46 and Klejka 10.10. Remember, Danny Seavey challenged the Juniors to run equal times out and back. Return trip times will be interesting to watch. Given Jimmy’s speed and his 8-minute lead, will it be enough to put him in the winner’s circle in his third Junior Race after finishing 4th in 2014? Veterans Harper and Nolan have top five finishes from their rookie race last year. Can Joan Klejka maintain her spot in the top five or will Katie Deits, Marianna Mallory or Jannelle Trowbridge who follow her out during the five o’clock morning hour challenge her? It’s a close race and it’s down hill to the finish. I’d say the winner will cross the finish line fairly close to 1000 and the next four mushers won’t be far behind. The banquet will be held at the Cantwell School at 6:00 pm on Monday. God speed to the teams as they return to Cantwell.